If you are interested in Central America history, Central American cultures, colonial history, ruins, you should go to Honduras. And you should do the same if your interests run more along the lines of beaches, nice architecture, great nightlife, natural parks of snorkeling. To put it simply, Honduras is one of those countries where anyone, regardless of what they’re interested in, will find something to like. If you haven’t given much thought to visit this interesting country before, here are top reasons to visit Honduras that might just convince you. You can start searching for the best Honduras travel deals right now! Select some merchants from the box, enter your travel details and compare their prices to see who has got the best deals. Cusuco National Park is one of the most amazing and exotic parks in the world, and for many people it is the chief reason for traveling to Honduras. The park is incredibly varied in terms of flora, faun and landscape (the altitude ranges from sea level to almost 2500 meters), and trekking though its rainforests is an unforgettable experience. La Tigra National Park, Cerro Azul de Copán National Park or Montaña Santa Bárbara National Park are only a few of the many parks in Honduras. In fact about 40% of the whole country’s territory is legally protected area, this means about 100 different places and parks in the country. If you are a real nature lover you should definitely visit the beautiful and lush Rio Platano Biosphere Reserve on the north eastern coast of Honduras. Continental Honduras has some great beaches and sites for diving and snorkeling, thanks to a uniquely rich biodiversity. However, if you want a truly amazing diving experience, head to the Caribbean Bay Islands in the Bay of Honduras. Utila, Roatan, Guanaja and the Hog Islands are not far from the largest coral reef in the Caribbean, and they offer diving and snorkeling spots that can rival with the best in the world. The Bay Islands have wonderful beaches that are less crowded than some other more popular Caribbean destinations, and the sandy beaches shaded by palm trees are just as enticing both on the islands and the mainland. West Bay in Roatoan island is the best beach in the country (although it is very difficult to pick just one beach). For unspoiled beaches, visit the coastline of Punta Sal National Park. Some of the most impressive and best preserved Maya ruins in Central America can be found in Copan, one of the former centers of Maya civilization. Copan Ruinas itself is a lovely mountain town surrounded by picturesque mountains and having cobbled streets, friendly folk and plenty of budget accommodation. It is the best starting base to explore the Mayan Ruins of the area but also for watching exotic birds and exploring the mountains on horseback. If you are interested in pre-Columbian art, then look no further than Copan – the stellae, the intricate hieroglyphs and the amazing Las Sepulturas that many people fail to visit – it is just (if not more) interesting than the larger complexes such as Chichen Itza. 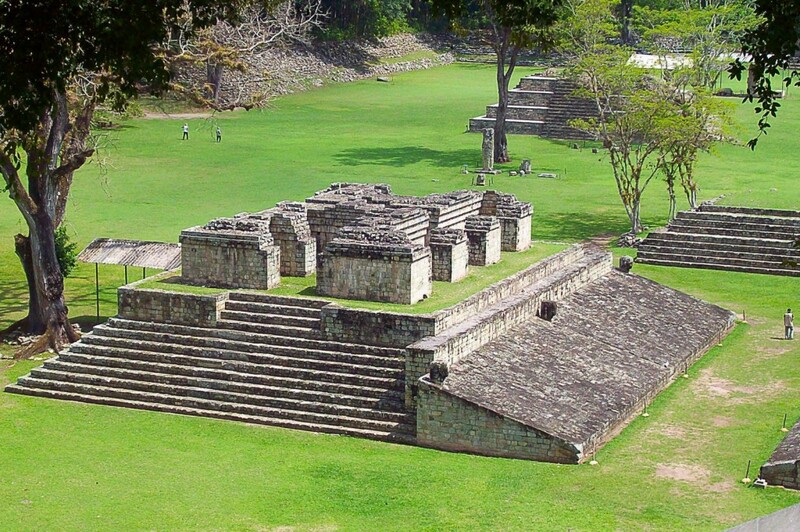 You will also be impressed by the ancient structures of Copan, climbing the stairs of the towery buildings and admiring the scared animal pictures carved into the stone is an amazing experience. Some say that the best nightlife in Honduras can be found in San Pedro Sula, which is indeed a great place to go out and party until morning, or to have a quieter time in a pleasant cafe and then go and catch a movie. Plus the city is also close to many other attractions like beaches and ancient ruins. But the other cities in Honduras also have a great deal to offer – Tegucigalpa for example has great rum and even better bars where to drink it, and even the quiet colonial towns of Comayagua or Cracias have a nice selection of small but entertaining bars. 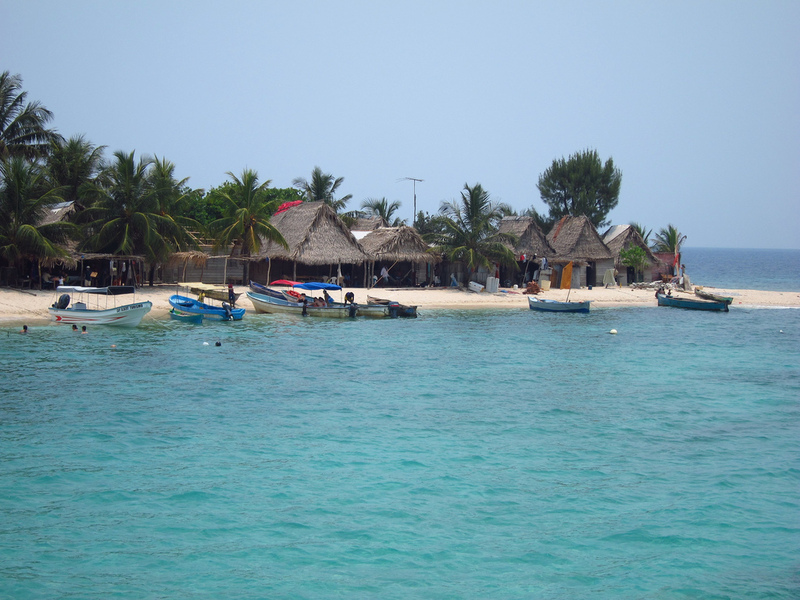 Roatan, on Bay islands is another popular tourist destination and a stop for many Caribbean cruises. It has numerous bars and clubs to hang out during the day or in evenings, just don’t forget to taste some of the local rum. Unlike other places where beer is the cheapest thing you can get, rum in many Honduras bars is very much affordable and can be refreshing on a sunny day if accompanied by some ice cubes. The Central American country of Honduras is relatively close to the United States. It is only a 5 hour flight away from the north eastern cities and a short 2 hour flight away from the airports of the Gulf Coast. Many major airlines have non-stop flights to San Pedro Sula, the capital Tegucigalpa, Roatan or La Ceiba. If you want to visit the Bay Islands, you can easily access those as well by ferry or by local airline companies. The Garifuna people have a mixed descent and heritage of the Native Carib Indians and the Africans brought to the Americas. Allegedly some 95% of all Garifuna people live in Honduras, so you can easily find a place where you can learn more about their culture. 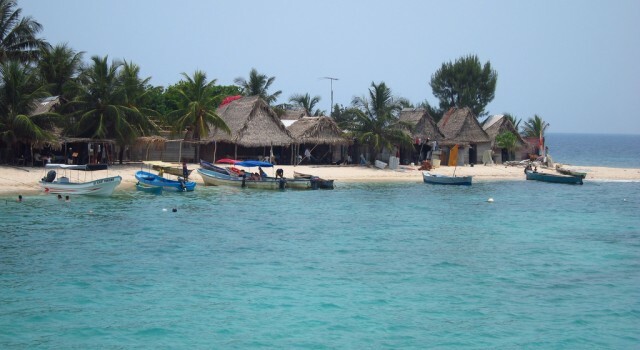 The north coast gives home to a number of Garifuna villages you can easily visit, including the Sambo Creek settlement. This village is super nice to go to all year, to see the way of life and taste the exotic cuisine of its people, but if you have the opportunity, go in June. That’s when the yearly fair is held and you can see a lot of dancing and music and soccer and taste the best of foods. Start searching for Honduras travel deals and visit this affordable but beautiful country this year! You have another South American destination in mind? You will surely find something you like among our freshly found travel deals to the continent.